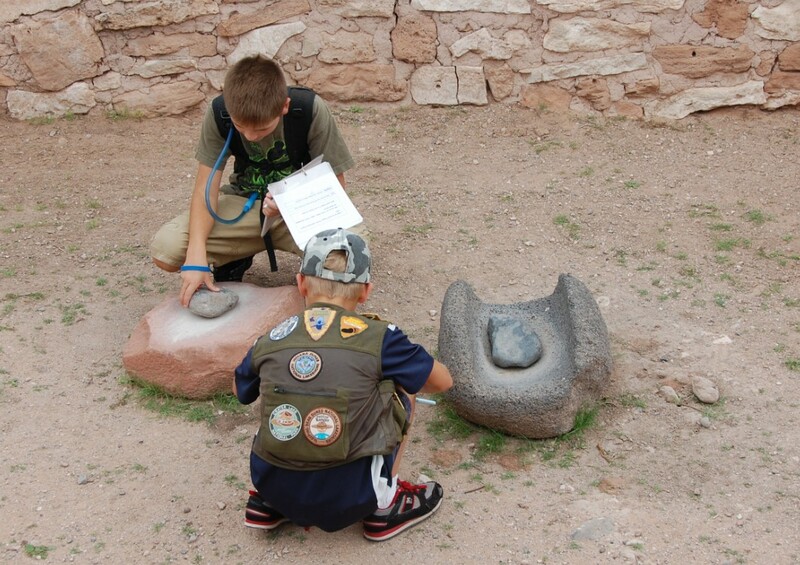 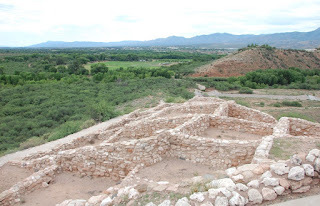 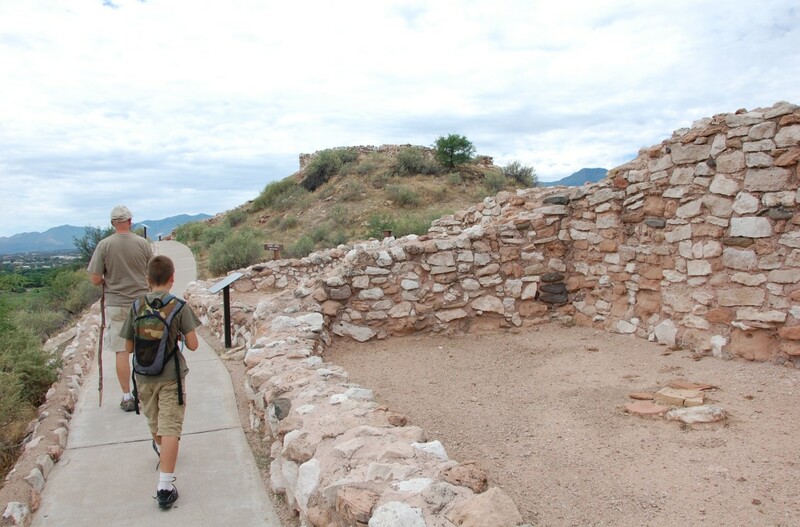 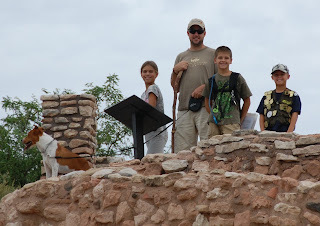 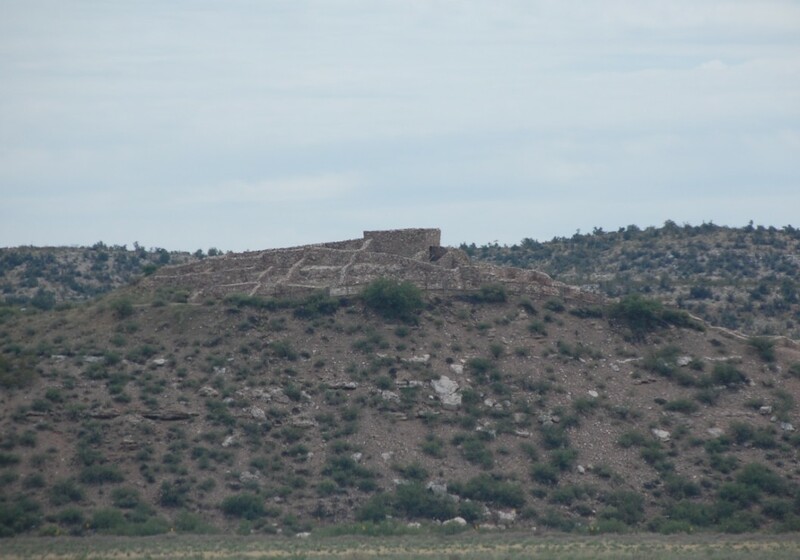 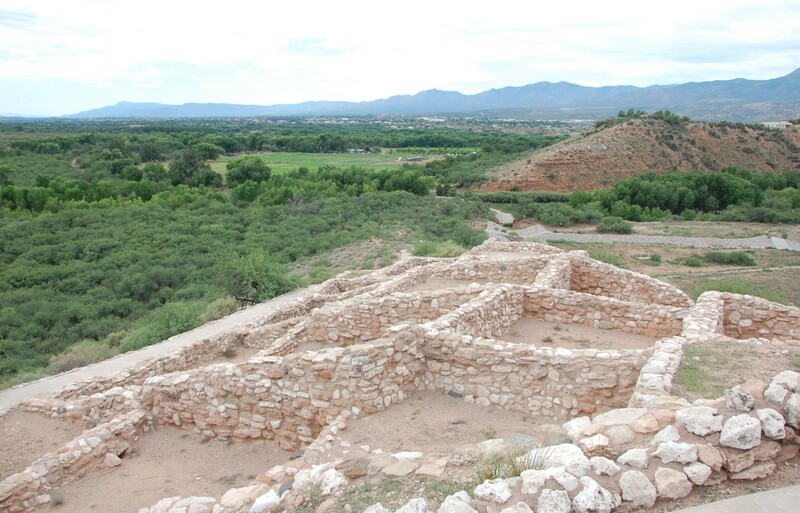 The kids did the Junior Ranger program and we checked out the pueblo on top of a hill. 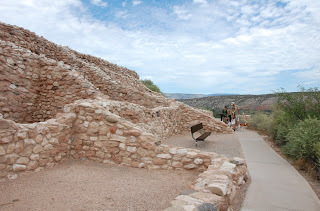 There’s a path around rows of block rooms all piled on top of each other, all built into a hillside with great views of the Verde River valley. 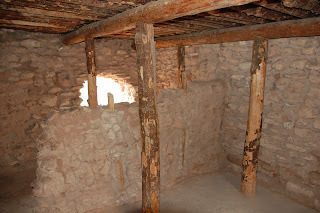 The path even goes through one of the rooms and out onto the roof. 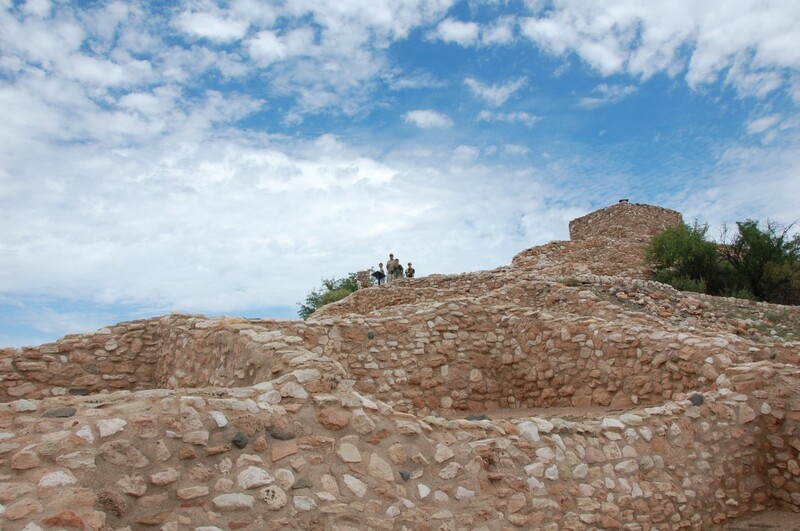 Here’s a panoramic view from the top. It was fun to imagine life there in the 1400s and trying to tell other kids which little block home in the piles of block homes was yours. 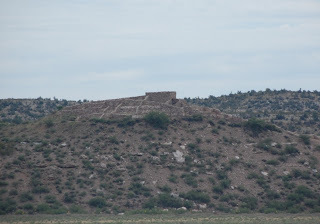 It’s amazing how easily the pueblo blended into the hill from a distance too. They really took advantage of the desert terrain.